You’ve read about all the engaging attractions Kyoto has to offer – from its famous temples to its transcendent botanical gardens. 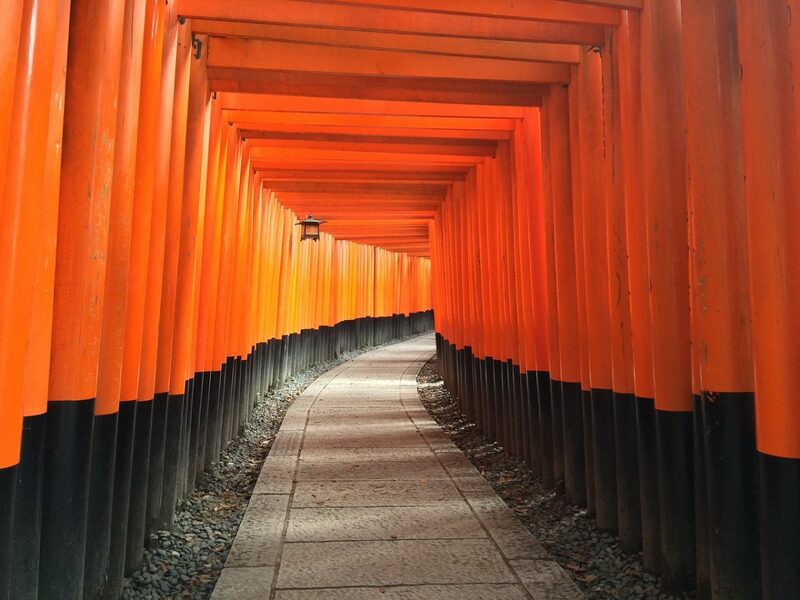 After all, Kyoto is considered the premiere sightseeing location in Japan. But as an international traveler, you are also concerned with how to get from place to place once you arrive in Kyoto. Does Japan’s maze of rail and bus lines intimidate you? It doesn’t have to. Kyoto is a well-organized city. While its rail lines are not as extensive as in other large cities, such as Tokyo, Kyoto is unique in its street grid system. This system eases the travel of both pedestrians and commuters by bus and taxi. Once you understand the Kyoto transportation system, getting around can be not only easy but also enjoyable. The following tips are designed to help you do just that. 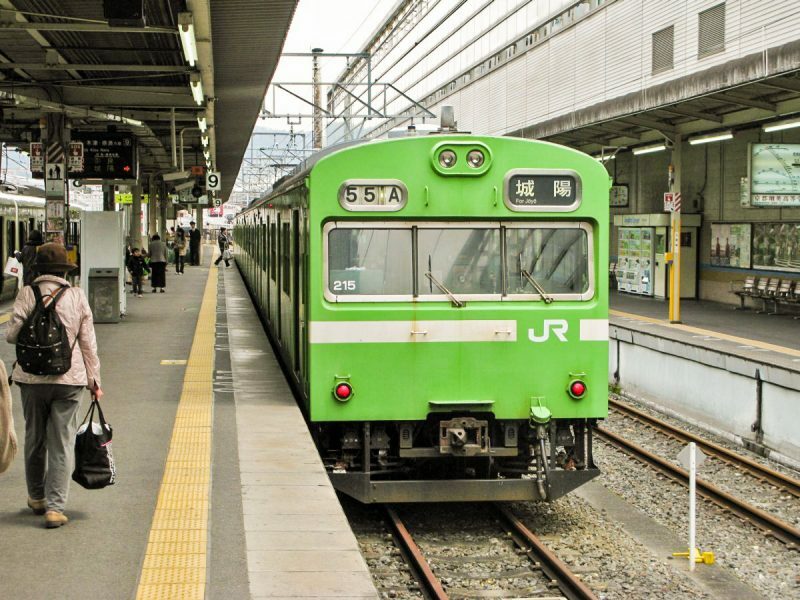 Numerous trains in and around Kyoto can be accessed using your Japan Rail Pass. Kyoto Station is the central city’s transportation hub for Japan Railways and other private services, as well as shopping centers. From here, you can access the Shinkansen bullet train to Osaka, Tokyo, and many other destinations. Local JR lines in Kyoto include the Sagano Line and the Nara Line. Tofukuji Station, close to the Tofukuji Buddhist temple, famous for its gardens. Inari Station, near Fushimi Inari, an important Shinto temple famous for its thousands of torii gates. Uji Station, a small city popular for its tea shops and World Heritage temples (Byodoin and Ujigami-Jinja), also famous for its matcha (green tea). JR Nara Station, in downtown Nara. Make sure to take the Miyakoji Rapid Train, since it doesn’t stop at all stations and is the fastest connection (from Kyoto Station to Nara in 45 minutes). Saga-Arashiyama Station, near Arashiyama bamboo grove, Arashiyama Monkey Park and the Sagano Scenic Railway station). Note: Please check our full “Things to do in Kyoto” guide for further tourist information. The Kyoto subway system operates two lines, the Karasuma Line (north to south) and the Tozai Line (east to west). Both lines are available from Karasuma Oike Station. The best use of the subway system is to reach attractions in the city center. The metro ticket prices range from ¥210 to ¥350 for adults and ¥110 to ¥180 for children. The trains of the Kyoto metro system are not covered under your Japan Rail Pass. Kyoto is also home to several private railway lines, including the Keifuku, Kintetsu, and Eizan Lines. The Hankyu Line can be accessed from the city center and using this line you can reach Osaka from Kyoto. This line also serves Arashiyama. The Keihan Line can be used to reach Fushimi Inari from the east side of Kyoto. The JR Pass, however, is not valid on private rail lines. Also of interest is the scenic Sagano Scenic Railway train, which departs from Saga-Arashiyama Station. While not covered by the JR Pass, the autumn leaves or spring cherry blossoms as seen from this train are well worth the trip. Finally, the Haruka Airport Express connects Kyoto Station with the Kansai International Airport, near Osaka. You can take this train for free with your Japan Rail Pass. Map of Kyoto train and subway routes, including the Shinkansen and JR lines. For further information, including a map of the whole Kansai region, please check our maps page. Kyoto’s extensive bus network operates daily from 6 AM to 10:30 PM. You will enter the local buses, by the back door and exit through the front, and payment on these city buses is made upon entering. Flat rate bus fares are ¥230 for adults and ¥120 for children. Alternatively, you can purchase a City Bus All-Day Pass for ¥500, or ¥250 for children. When using JR buses, you can ride free of charge when you scan your JR Pass upon entering. The Japan Rail Pass is valid for West JR Bus company, which operates the Takao Keihoku Line. This line runs between Kyoto station and Shuzan. You will be able to go to Ninnaji Temple and Ryoanji Temple. Additionally, the route between Kyoto Station and Shuzan via Shijo-Omiya Station is very scenic and features of temples. Especially in autumn season, the color leaves are gorgeous! You can also get to some of the cities most popular attractions is by using the city buses. The two main companies are Kyoto City Bus (central city area) and Kyoto Bus (for the surrounding areas). If you take the Kyoto City Bus 205 from Kyoto Station and get off at the Kinkakuji-mae bus stop you can walk to the Kinkakuji, the Ryoanji, and the Myoshinji Temples. To visit the Ginkakuji Temple and the Honenin Temple in north-east Kyoto you can catch the Kyoto City Bus 5 or 17 from Kyoto Station and get off at the Ginkakuji-michi bus stop. If you walk another 20 minutes from here you can also see the Eikando Temple and the Nanzenji Temple. Alternatively, there are a number of tourist buses, known as Raku buses which take on various routes between Kyoto’s points of interest. Raku Bus 100 leaves Kyoto Station every 10 minutes between 7:40 and 17:00, stopping at National Museum & Sanjusangendo Temple, Kiyomizudera Temple, Gion, Heian-jingu Shrine and Ginkakuji Temple. Raku Bus 101 leaves Kyoto Station every 15 minutes between 8:00 and 16.30, stopping at Kyoto Station, Nijo-jo Castle, Kitano Tenmangu Shrine, Kinkakuji Temple, Daitokuji Temple and the Kitaoji Bus Terminal. Raku Bus 102 leaves the Ginkakuji-michi bus stop every 30 minutes between 8:04 and 16:34, stopping at Ginkakuji Temple, Kyoto Imperial Palace, Kitano Tenmangu Shrine, Kinkakuji Temple, Daitokuji Temple, Kitaoji Bus Terminal. In downtown Kyoto, you will also find taxis waiting at nearly every street corner, at all times of day and night. When hailing a taxi, pay attention to the light located next to the driver. A red light means the taxi is available, while a green or blue light indicates that the taxi is already in the service of another customer. In Japan, taxi doors open and close automatically, so don’t worry about shutting the door when you exit. When selecting a taxi, keep in mind that the MK or Yasaka companies – designated by a clover icon – are generally cheaper. Whichever service you use, you may expect to pay about ¥640 for the first two kilometers. Tip: When telling your driver where you would like to go, naming an intersection, restaurant, or attraction is often more efficient than giving him a specific address. Kyoto’s street grid system makes it simple for both pedestrians and bicyclists to find their way around. In Kyoto, main streets run either north to south or east to west. North-south streets are given names, while east-west streets are given numbers. Keeping this in mind can aid you in orienting yourself and understanding the direction in which you are traveling. The flat terrain makes this city ideal for touring on foot. As you will likely not have your own bicycle with you, many bike rental stores are available in Kyoto, especially in the Arashiyama area. You may rent a bicycle for a few hours or up to two weeks. Prices range from ¥500 per day to ¥2000 per week. Be advised that in the city center and near train stations, bikes must be parked in designated areas. Bike parking usually costs ¥150 for up to eight hours. Bikes parked illegally will be towed. Is it easy to get around Kyoto strictly using the JR lines or do you recommend also purchasing a Kyoto Subway Line Metro Pass (i.e IC card, Kyoto sightseeing card, or Kansai thru Pass)? Thank you! Hi Ruth! Please read this article carefuly since it describes the lines where the Japan Rail Pass can be used in Kyoto 😉 Happy travels! Hi, this is a helpful post btw 🙂 I have some stuffs to clarify though. I have JR Sanyo Sanin Northern Kyushu Pass and it also includes the JR buses in Kyoto. Planning to visit 3rd week of March. My question is.. Are JR buses different from those Kyoto City buses? Like Kyoto CIty Buses aren’t covered in the JR pass? Coz I’m a bit confused on how to navigate the route maps and all. If ever, we’re just planning to just visit Kiyomuzidera / Gion area from Kyoto Station. Hi KL! The Japan Rail Pass includes unlimited access to JR Buses. As specified in this article, in Kyoto the pass can be used on the Takao Keihoku Line. This line runs between Kyoto station and Shuzan. You will be able to go to Ninnaji Temple and Ryoanji Temple. Happy travels! Hi, I’m Jesica a traveler. I will stay in Japan for 8 days, and I’ll buy 7 days JR Pass. My question is if I arrive on 3rd December in the airport can I get JR Pass stamp for 4th December to be activated? And I should pick the ticket for booking on 3rd Dec or 4th Dec? Hi Jesica! To activate your Japan Rail Pass, please go to any JR office. Once at a JR office, you will be asked to show your passport (the JR staff will look for the Tourist visa stamp/sticker) and your Japan Rail voucher (exchange order). After your personal data has been verified, you will be asked to select the activation date of your pass. This can be up to 30 days following the exchange date. After activating your JR Pass, you will be able to use it on all JR trains, buses, and ferry services. Happy travels! Hi there! Is the JR office open 24/7? Ill be arriving in the airport (kix) at about 10pm. I intend to immediately take a train from kix to kyoto. Would i be able to activate my jr pass if i arrive at the airport so late? Hi Nicole! JR Offices are not 24/7, you can find all the opening hours and stations here. Happy travels! I will be staying in Tokyo for a week and would like to explore going daily trip from Tokyo to Hakone & Kyoto. Can you advise is JR Pass the right choice? Hi Evon! The JR Pass gives you unlimited access to all Japan Rail National trains, JR bus services, ferry services, and airport transfers. A 7-day JR Pass only costs ¥29.110 which is actually cheaper than a return ticket from Tokyo to Kyoto on a Shinkansen bullet train. This means that if you make just one long-distance trip you can already save money. If you make multiple trips then you start saving thousands of yen. Happy travels! I will travell from Tokyo-Osaka-Tokyo in November 2018 , If iam using JR pass 7 days , and starting from Tokyo to Osaka on Nov 24 ,and then back to Tokyo on Monday Nov 26 , Is my JR Pass still valid for those day? Hi Handoko! The Japan Rail Pass validity period is calculated in days, not in hours. Therefore, if you have purchased a 7-day pass and your activation date (when you first use the pass) is the 24th of November, the exact expiration time will be midnight on November 30. Happy travels! We will be traveling for 6 days from Kansai airport > Kyoto > Nara > Osaka, next month! I heard that the cheapest rail ticket will be the ICOCO + HARUKA rail ticket for my travel… However, is it not possible to use my ICOCO card to travel around Kyoto’s railway system? Is the ICOCO card also the same as the JR Line train card? Since I cannot use my ICOCO card for travel around Kyoto, does it mean I need to purchase another Kyoto railway card to travel all around Kyoto for 2 days that I am there? Hi Dee! We strongly recommend you to check our article Using Japanese prepaid IC cards: PASMO, SUICA and ICOCA 😉 it will help you clear your doubts! I bought 7 day JR Pass. Im still clueless on which train i can use in Osaka, Kyoto and Mount Fuji. Hi Airul! 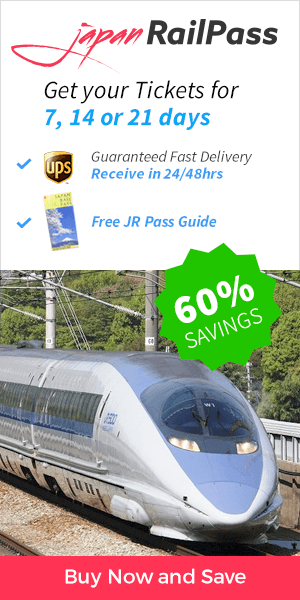 Should you purchase your passes from jrailpass.com for example you will receive a travel guide with a detail on how to use the Japan Rail Pass and basic line info. Happy travels! I wonder how exact is 14 days card? Is it by date or hours? For example, when I validate ma card in Sept. 13 at 9.30 a.m., what time exactly it would end? Hi Jen! The Japan Rail Pass validity period is calculated in days, not in hours. Therefore, if you have purchased a 14-day pass and your activation date (when you first use the pass) is the 13th of September (any hour), the exact expiration time will be midnight on September 26. Your JR Pass will be valid until the end of the journey. Happy travels! Hi I’m thinking of getting the 7 days JR pass for my family 9 days trip to Kyoto. We’re thinking of visiting Mt. Fuji, Nara, and Tokyo and maybe back to Kyoto again. I know the JR pass does not includes the fastest express trains but does the JR pass covers all the semi express and ordinary bullet trains to and fro those towns/cities? is it worth it? Hi Mae! The JR Pass is valid on the Kodama, Hikari and Sakura types of Shinkansen, but is not valid on the Nozomi and Mizuho classes. You will not have access to the ‘Nozomi’ and ‘Mizuho’ Shinkansen that are the fastest trains on the Tokaido and Sanyo lines. However, you have access to the ‘Hikari’ or ‘Sakura’ Shinkansen that cover the same routes. The Hikari and Sakura bullet trains reach the same top speed as the Nozomi and Mizuho trains and use the same type of actual train, but have more stops along each route. For example, from Tokyo to Kyoto, the Hikari takes 15mins more than the equivalent Nozomi. 1) Can this Japan Rail Pass also traverse train lines under JR West Rail Pass / JR West Rail Pass Conventional Lines? – the Tōkaidō Main Line (JR Kyoto Line), from Kyoto Station to Yamazaki Station to see the Suntory Yamazaki Distillery? Hoping for your immediate reply. Thank you. We are planning on a family trip in July and would like to visit Tokyo (from Narita airport), Mt. Fuji, Hiroshima, Nagano, Toyama, Kyoto and Osaka and back to Narita. Are all the train and bus rides all covered in the JR Pass? 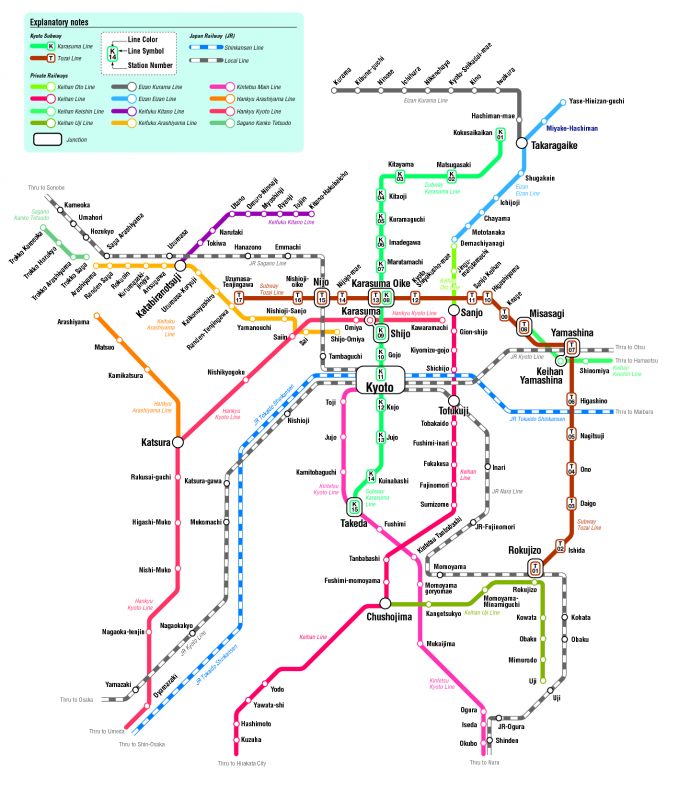 Where can I check the routes and schedules of trains/bus. Thank you for your immediate response. Hi, I am looking to visit Osaka and the areas around it, including Kyoto, and have a short trip to Tokyo then back to Osaka. Can you recommend which pass should I get? To be honest the many types and names of the railway lines are a bit confusing. We are travelling around Kyoto, Nara, Osaka, Hiroshiyama. Okayama, Hikone and Nagaham for a 6 days. We will be taking Kansai International Airport to get there. What JR pass can you recommend? We believe the 7-day Japan Rail Pass is the best option for your trip, as it includes the Haruka Express train connection from Osaka to Kansai International Airport, and the shinkansen bullet trains among the cities you mention. what type of jr pass to buy if i need to travel area Kyoto within 2 days only..
Osaka-kyoto-arashiyama? Or any jr lines in kyoto? Me and my friend are considering travelling from Tokyo to Kyoto and then to Osaka. The thing is, we are spending 9 days in Japan and we are thinking buy JR Pass. Which JR Pass should we get? A Japan Rail Pass can be valid for either 7, 14 or 21 consecutive days. The most adequate one for each concrete person will depend on the itinerary they want to do. To assess if the 7-day Japan Rail Pass is the most cost effective ticket or if the 14-day will also help you save money for your trip, we recommend you to check at Hyperdia which would be the cost of the individual ticket. When you have this detail you will be able to compare this price to the nation-wide pass price. we are interested to go to the Ninja Museum in Inga from Kyoto. I am wondering if you can give me the best direction to go there and back and if JR pass can be used. Also how long is the distance? Can this be a day trip? The Iga Ninja Museum is a 5-10 minute walk north of Ueno-shi Station. To get there from Kyoto you will have to take the JR Nara line to Kizu and once there transfer to the JR Kansai line to Iga-Ueno. All this first part of the trip is fully covered by the Japan Rail Pass. When you get there you will need to change to the Iga Railway (not covered by the pass) to Ueno-shi. This trip will take around 2 hours. We are thinking of buying a 7-day JR passes to travel from Tokyo to Osaka, Kyoto and then back to Tokyo in 7 days. Could you inform us which services ie trains/buses/ferries are covered by JR pass. Below you will find detailed information on what is covered by the Japan Rail Pass. If you aim to travel between Tokyo, Osaka and Kyoto you will be entitled to do so by taking the Hikari Shinkansen in the Tokaido Express line. 1. The Japan Rail Pass covers all JR Group limited express trains, express trains, rapid and local ones. Shinkansen bullet trains are also covered, except of NOZOMI and MIZUHO. Furthermore, the JR Pass can be used on the Tokyo Monorail, the Yamanote line (Tokyo Metro); the Aoimori Railway between Aomori and Hachinohe; the JR Ishikawa Railway between Kanazawa and Tsubata; the Ainokaze Toyama Railway beween Toyama and Takaoka; Narita Express from Narita Airport to Tokyo. 2. The JR Pass is valid on all local JR bus lines such as: JR Hokkaido Bus; JR Tohoku Bus; JR Kanto Bus; JR Tokai Bus; West Japan JR Bus; JR Chugoku bus; JR Shikoku Bus; JR Kyushu Bus. Hi, i have Japan Rail pass 7 days. I want to travel around kyoto, are JR Nara Line and JR San In covered by JR pass? thank you. Yes, these lines are served by Japan Rail Pass’ included transportation. For example, on the JR Nara line you are entitled to take the Miyakoji Rapid Train, that will take you from Kyoto straight to Nara. Have a very nice trip! I am Travelling from Tokyo to Kyoto only. Is it advisable to buy a JR pass? Will be like visiting attraction within Tokyo city area and after which will be taking Shinkansen to Kyoto. Then Kyoto will be visiting those places of interest also. Won’t be doing visiting into different cities. Yes it is worthy to buy the 7 days JR Pass! You can check and compare prices on Hyperdia, but the Japan Rail Pass covers numerous trains in Kyoto and five different Tokyo railway lines, as well as Yamanote line (Tokyo Metro) the Narita Express (airport transfer). Also the Shinkansen to Kyoto, as you were saying. To complete your reading, please check our article to get to know everything about Tokyo: destinations, trains and transportation. Hi, Can you upgrade or purchase supplemental ticket using the Japan railpass for the Nozomi trains? In case, you rather prefer to take the Nozomi trains, you will need to pay the full fare to board the Nozomi, even with the JR pass. Just wondering if its worth getting a Japan rail pass, if i’m only going from Tokyo to kyoto? it will always depend on your scheduled trips. Note that the Japan Rail Pass covers airport transfers, transportation within Tokyo and Kyoto and transportation between these 2 cities. It would be specially interesting if your were planning to visit any nearby city. We strongly recommend you to check our blog for more travel ideas. Hi! Considering that Nozomi is not covered by the JR Pass, what then is the best route to take from Karasumaoike to Shibuya using the JR Pass? Arigato gazaimasu. You can the Shinkansen Hikari train with your Japan Rail Pass instead of Nozomi. I prefer with advance seats reservation. Where can I get the train schedules serving Yokohama to Kyoto to Mt. Fuji to Tokyo. Or Kyoto to Tokyo; Tokyo to Mt Fuji to Tokyo. To make a reservation, please go to any Ticket Office (Midori-no-madoguchi), spread through all Japanese train stations. Alternatively, go to a Travel Service Center or a Travel Agency ticket sales office. Once there, go to any of the ticket counters. State your destination and preferred departure time and let the staff member find the best option for your trip. For train schedules please refer to Hyperdia, the number 1 Japanese online transportation planning tool. HI, I am Feli, a travel agent. First time to do a Japan side trip for my 2 passengers. They are taking Princess Cruises. PCL will arrive Osanbashi Yokohama port on Friday, July 21 at 6am. They want to get a Kyoto tour & Mt. Fuji. I need quote for train passage and train schedules & where the stations located. The itinerary will be: 21JUL from Osanbashi port to Kyoto. 23 JUL late afternoon, leave Kyoto for Tokyo or 24JUL leave early morning from Kyoto to Mt. Fuji. (If there is train service from Kyoto to Mt. Fuji). Otherwise, 24JUL leave Tokyo early morning to Mt. Fuji, after tour, return to Tokyo late afternoon. What do you suggest best way to go around Japan cities, by bus or train. If by train, would you suggest to get Japan rail pass that will include the bullet train service? Appreciate hearing from you soon. For quotes of individual tickets and train schedules you will need to check Hyperdia – the number 1 Japanese online transportation planning tool. To see if the Japan Rail Pass pays off we recommend you to check there all the itineraries you would like to cover. Also please refer to our Mount Fuji itinerary guide for more insight of this part of your trip. Hi I am Michelle. I am going to Kyoto from kobe. I have the jr Kansai Wide pass with me. Am I able to take the special rapid jr line from sannomiya to Kyoto? This is my first time going to Kyoto. I am also going to arashiyama on 13 April and taking the saga train ride. I am planning to buy the tickets at jr station at kansai airport on 10 April. Am I too late to buy the tickets?? Yes, you can take the Special rapid JR line as well as all JR lines, using a JR Pass. In your case, this is all JR lines withing the Kansai area. Regarding the purchase of the Saga train tickets, we recommend purchasing the tickets in advance, when possible, especially during peak season. In the case that all seats have been booked, standing tickets will be made available.